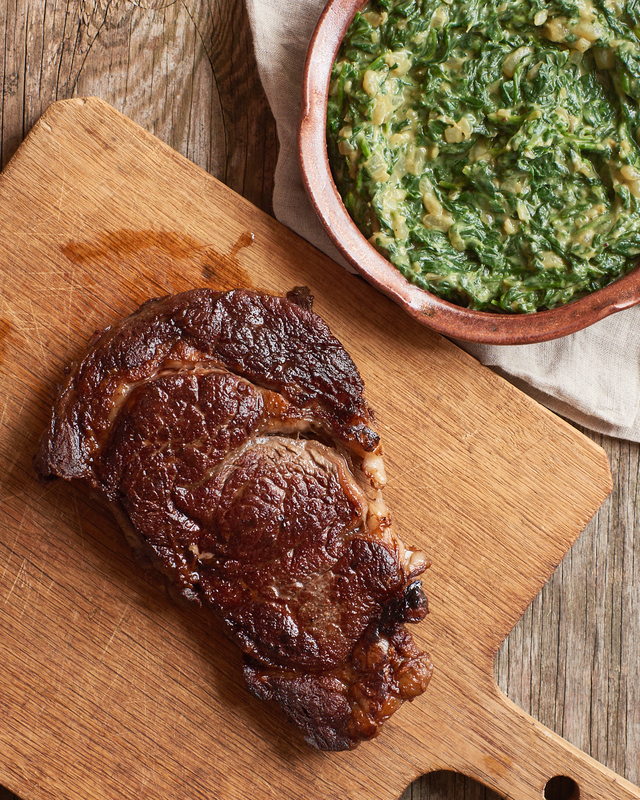 Ribeye cooked on the stovetop plus vegan creamed spinach are a match made in heaven. Recipes from Kenji Lopez-Alt. Photo by Amy Roth Photo.